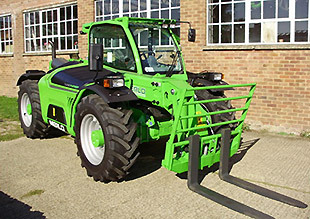 Argo TractorsThe series 4F of Landini tractors mount Deutz liquid-cooled diesel engines TCD 2.9 L4 high power with a power from 77 kW up to 2,200 rpm. 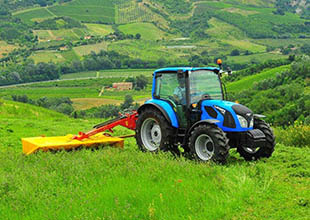 The engine is the most suitable engine for compact machines such as special tractors for vineyards and orchards. 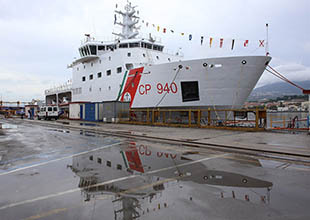 FincantieriPropulsion system, certified by RINa, built using GET engines 12V228 for the Multipurpose Support Vessel. Each engine has a power of 2,289 kW at 1,050 rpm. Engine emission level: IMO Tier II. 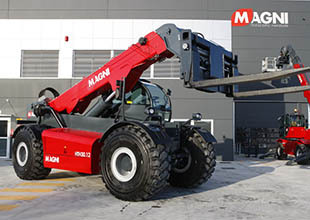 Magni TH Telehandler with Deutz liquid-cooled diesel engine TCD 3.6 L4 with a power from 100 kW up to 2,200 rpm. Engine emission level: EU4 - US Tier4 Final. Combined exhaust gas treatment system (DOC + SCR). 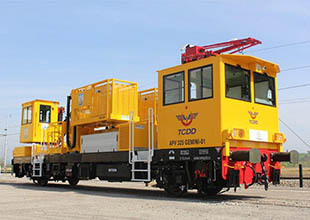 SVIRailway machine APV 325 with Deutz diesel engines TCD 7.8 or 6.1 with powers of 250 or 180 kW according to speed, slope, trailer load, transmission type. Combined exhaust gas treatment system (DPF + SCR). EnergreenILF500 hydraulic grass cutting railway machine with Deutz liquid-cooled diesel engine TCD 4.1 L4 with a power of 115 kW at 2,200 rpm. Engine emission level: Step 3b. 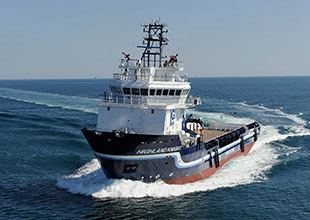 Rosetti MarinoPropulsion system, main on-board and emergency gen sets installed on the Platform Supply Vessel, built using respectively teo GET engines 16V228, two Deutz engines of the series 1015 and one Deutz engine of the series 1013. Products certified by RINa and ABS. 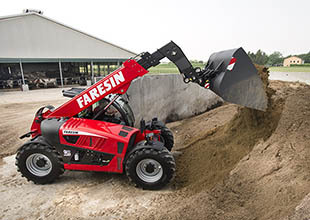 FaresinTelehandler with Deutz liquid-cooled diesel engine TCD 3.6 L4 with a power of 90 kW at 2,300 rpm. Engine emission level: Step 3b. Exhaust gas treatment system DOC only and DOC/DPF. 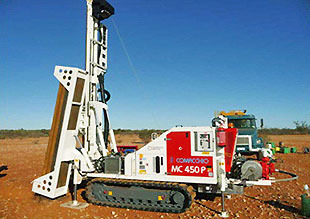 ComacchioDrilling machine with Deutz liquid-cooled diesel engine TCD 3.6 L4 with a power of 85 kW at 2,300 rpm. Engine emission level: Step 3b. Exhaust gas treatment system DOC only and DOC/DPF. 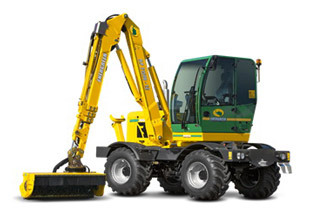 MerloTelehandler with Deutz liquid-cooled diesel engine TCD 3.6 L4 with a power of 100 kW at 2,300 rpm. Engine emission level: Step4. 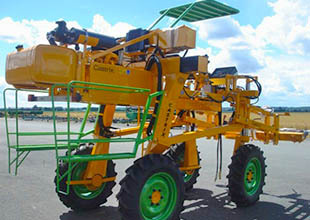 ZoniCastrix self-propelled machine for the emasculation of corn with Deutz liquid-cooled diesel engine TD 2.9 L4 with a power of 55.4 kW at 2,600 rpm. Engine emission level: Step 3b. Counting on over 110 years of market experience and the support of major international partners, DEUTZ Italy designs and sells customized industrial and marine propulsion systems, satisfying all technical and engineering requirements, quality, performance and customer aftersales service. Scopri a quali eventi e fiere del settore sarà presente DEUTZ Italy. Find out the fairs and events at which DEUTZ Italy will be present. The aftersale service is the real added value of DEUTZ Italy. You can filter the results searching for the service centre or the sales area manager responsible for your area. Attention, not installed cookies, some pages will not be displayed correctly.